Watch full One Piece Season 15 Episode 29 English Dubbed full HD online. One Piece Episode 545 English Dubbed online for free in HD. 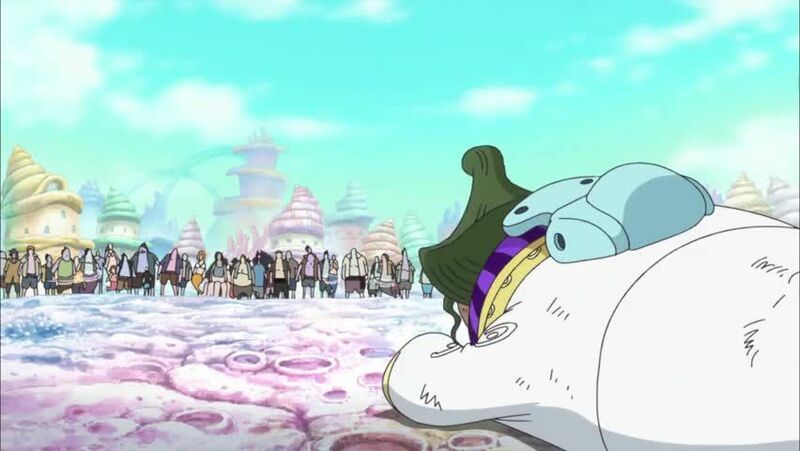 The Sun Pirates go their separate ways after Jimbei becomes a Warlord. Otohime, however is determined that these actions would to help her cause. A few days later, Mjosgard, a Celestial Dragon, arrives on the island and the islanders are angered by their appearance. One of the former Sun Pirates attempts to kill Mjosgard, but Otohime stops them. The queen forewarns everyone that they must not pass the hatred to their children. However, Mjosgard threatens the Queen. Shirahoshi unknowingly uses her power to summon the Sea Kings and save her mother. After Mjosgard is healed by Aladdin, Otohime decides to go to the surface to negotiate with him. Just before she leaves, she reassures to the island’s citizens that everything will be all right.